We can’t let them control the narrative of America’s greatness. Humor is the intentional violation of expectations, leading to cognitive dissonance and (hopefully) a laugh. For that violation of expectations to be clear, it’s important that — for the most part — people have the same expectations. When we all share common beliefs, it’s easy to tell what’s a joke and what’s serious, what’s hyperbole and what’s mundane. When we don’t, it gets a lot harder, a phenomenon exemplified by Poe’s Law. Only tangentially related but there is a rap feud between B.o.B and Neil deGrasse Tyson’s nephew over Flat Earth Theory: https://www.theguardian.com/music/2016/jan/26/flat-earth-rapper-bob-neil-degrasse-tyson-diss-track. You’re welcome. Up until around 2008, much of America shared a narrative that — at its core — America was a nation defined by opportunity for all. They may not have thought that opportunity infallible, and they may have acknowledged its failures, but they thought it to be a shared belief of our nation. That America was defined by tolerance and opportunity. In that America, the Civil Rights Movement was a natural part of America’s progress, not an opposition to America’s darker nature. In other words, that America believed in the promise of opportunity and equality, even if it didn’t always achieve it. However, there is another narrative, one in which white supremacist violence is not the exception, but the rule. This narrative believes America to be a fundamentally white, Christian nation. 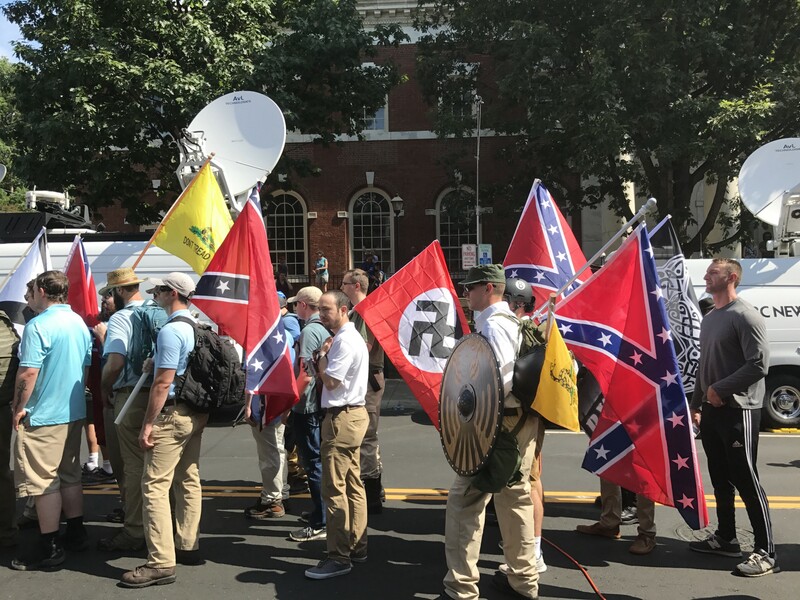 This radical movement of racist discourse and violence — was largely visible to two communities: White Supremacist and Neo-Nazi terrorists, and those they terrorized. Obama’s presidency brought that narrative to life, but it was Trump’s campaign and then election which poured oil over the flames, and vaulted it into the national narrative. Charlottesville has only escalated this process. Now that much of America is confronting a narrative outside of its normal, it’s harder for many to see the granular distinctions that make humor possible. 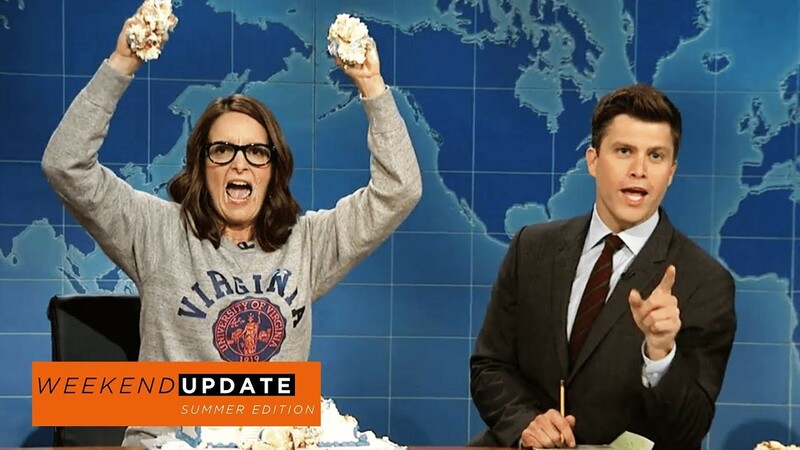 If you somehow missed it, Tina Fey joked that the appropriate response to Charlottesville (or really, this entire farce of a presidency) was “buy a giant cake and eat it to hide your pain”. The internet’s response was immediately divided. 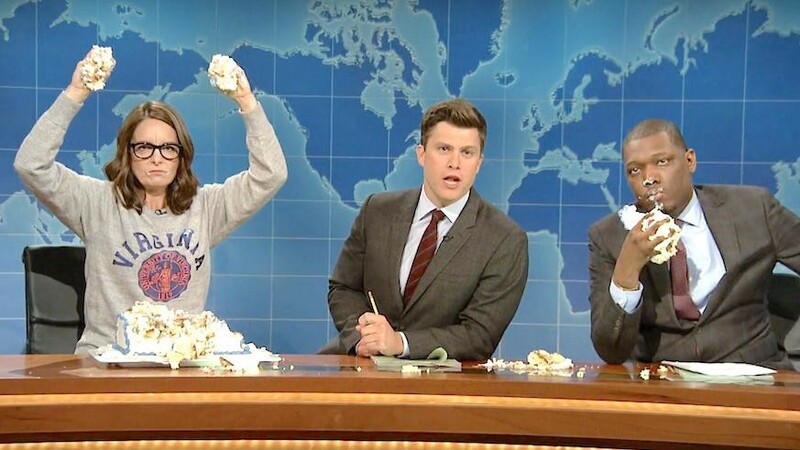 Was Tina Fey giving us a real suggestion we should follow, or was she making fun of the tendency of privileged liberals to have loud opinions without following through with decisive action? And was that suggestion the right one, or was it horribly misguided white-feminism? Why was this joke’s reception so unclear and so controversial? Because it’s easy to make a joke about white supremacists when they’re just a mythical boogeyman, but now that it’s quite clear to America how real they are, not everybody’s laughing. Let’s take a step back. Why is our response to a joke such a big deal? Because there’s a grain of truth in every joke. Humor is an indicator of how we frame issues as society. When we look at Trump — or the alt-right — we can see how often they hide the reprehensible things they say behind “it was a joke”. 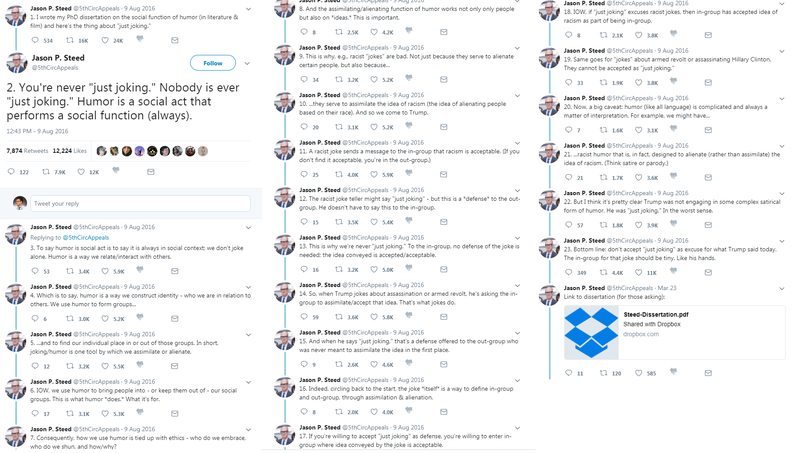 Why is it necessary for Trump and the alt-right to fall back on “it was just a joke” when confronted with their own words? It is necessary for Trump and the alt-right to fall back on “it was just a joke” because they promote beliefs that are vehemently opposed to what many Americans believe — or at least want to believe — about America. As a result, it is necessary for them to destroy our own narratives, sowing doubt and confusion. What shakes our deeply-held beliefs? Shock and awe. In other words, when something awful happens — something we can’t understand or explain — humans grasp at any answer. This allows those who assert that only they have the answers to define the narrative. Historically, it has always been as a reaction to fear and uncertainty that totalitarianism has taken root. 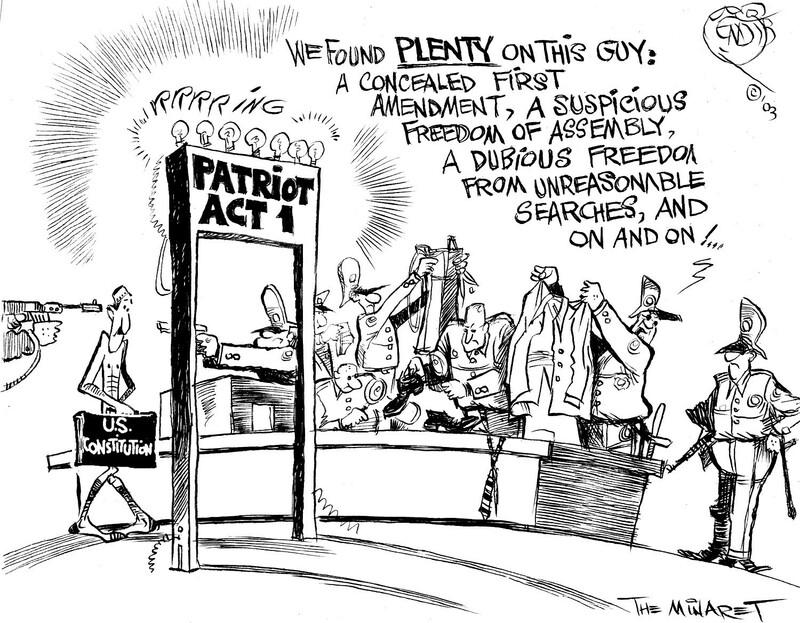 In recent memory, it was American shock at 9/11 that allowed our government to promote an invasion of Iraq and curtail our civil liberties via laws like the Patriot Act. America is going through another period of great shocks, primarily centered around race and wealth inequality. The Great Recession sent many Americans into foreclosure and financial instability. Black Lives Matter thrust racial inequality and police brutality into the limelight. Trump’s election has forced many Americans to confront the racism and sexism and xenophobia of their fellow citizens. This came to a head with the protests in Charlottesville, which has many Americans realizing — for the first time — that white supremacist and Neo-Nazi groups are far more prevalent and active than they’d ever imagined. In the wake of these shocks, the alt-right is establishing their own narrative, one of “bad people on both sides” and their movement being rooted not in white supremacy, but free speech and anti-political correctness. In many cases, this comes down to a simple “it’s just a joke”. This is not the alt-right’s first foray into constructing their own brand by instilling chaos. 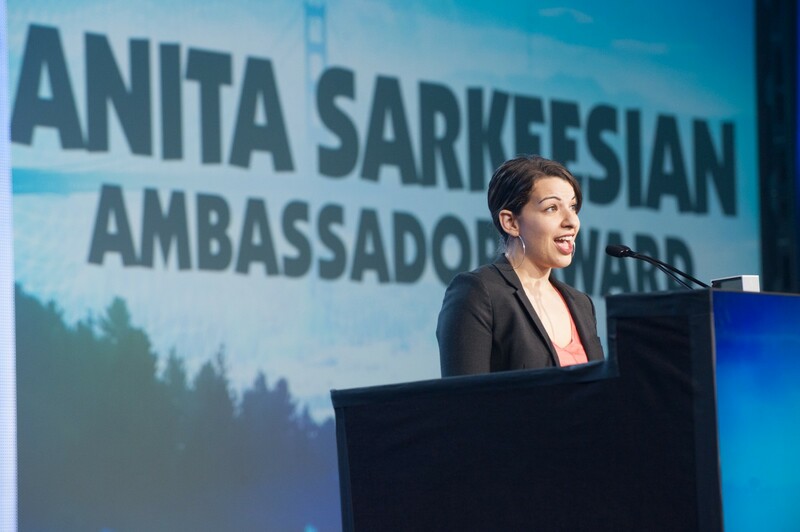 Starting in 2014, they began a targeted harassment campaign against women, people of color, and socially liberal activists within the gaming industry, one which would quickly become known as GamerGate. Faced with shocking threats of violence, many media outlets couldn’t understand the gravity of what was happening, and refused to believe that “resentment over increased catering to women and PoC in their boys club” was the whole story. As a result, they searched endlessly for other narratives which allowed the alt- right to create their own: ethics in gaming journalism. This narrative never took over as the primary one, but it muddied the waters, and confused many bystanders as to the real issue. GamerGate even had its own Tina Fey. A rogue comedian intending to satirize GamerGaters ended up being perceived as advocating for GamerGate (although Rankowski’s comedy was far more ill-advised). The same is happening now and will continue to happen. It is imperative that Americans understand that white supremacy is real and very relevant. This must be clear in our explicit statements, but that is not enough. Many Americans will need to undergo a paradigm shift to internalize that reality. The fact that we can’t even agree on what the target of a joke is is an indication that the alt-right has already started to succeed at taking advantage of our confusion. We can’t let them push their narrative to fill the void. That narrative was front and center in Trump’s messaging and in the alt-right’s branding for years. It says that the American Dream has broken, that the winners are crushing the losers, and in this case the losers are the American people. Trump is very familiar with that narrative, and he has spent decades branding himself as the person who knows that the world is made up of winners and losers. Trump’s answer to this void is simple: you don’t need to worry about inequality and poverty because I’m going to make America — or at least, white America — the winners. But the white nationalist narrative is not the only one that can fill our current void. In the face of a system which grinds the majority of people beneath the heel of the wealthy, we can do better. We should not allow people to fall below a certain level of financial security. Losing your job need not mean losing everything. We can provide healthcare, food, clean water, and housing to everybody. America does not need to fear minorities or immigrants taking its jobs and its resources. There are more than enough resources for us all if we ensure that the very wealthy pay their fair share. We need to reject the narrative that we can only succeed by crushing those who are struggling alongside us, and instead understand that the people who are holding back the working poor and the middle class are not immigrants or minorities — who themselves are often among the working poor or middle class. It is wealthy business-owners and massive corporations who are destroying the American Dream. Trump cannot make America great because it is him and people like him who are tearing Americans down to begin with. To see more, follow me on Facebook. To further support me, check out my Patreon and consider becoming a patron.